At the end of August I did something crazy: I signed up for a half marathon. Why is this so crazy? Well, because it’s 13.1 miles. That’s a long way and I hate running. No, seriously, I hate it. Even more than five months into training later, I hate still it. I’m still only able to run a little over a mile before I need to walk for a minute. 7 years ago, I (Megan) drove into Ingleside, TX with the intention of staying for 10 weeks, complete my college internship, have a fun new experience, meet some sailors and move on with my life. Two weeks in, my life changed. For those who have never been, which I assume is most people reading this, Ingleside is a small town on the outskirts of Corpus Christi. It had a small grocery, a Whataburger (which just to be clear, is superior to In-N-Out), a few other fast food places, the Buckhorn (a bar), javelina pigs, and a Naval Base. A small one. Prior to this my experience with the military had been slim. I knew some older veterans, a few ROTC guys from college, and a few that had gone on to the military after high school, but no real everyday experience with active duty men and women. And now I was not only working with them every day, but living on base. I was housed in the on base hotel which was the bottom floor of the barracks building. My internship started and I was working for Morale, Welfare and Recreation (MWR) in the single sailor department. That was perfect for me in my eyes as I was also single. I met many single sailors while at work, but got pretty bored everyday after work. At 21, I was not looking for a husband. I was actually job hunting more than man hunting, but I was bored…so why not try eHarmony? Even if it only provided a few laughs, sure why, not?! I decided to give it one month. There were a few guys I messaged with, but no one really appealed to me until I saw a sailor who happened to also be in Ingleside. We went through the whole communication route they set up and finally started talking on the phone. As it turned out, he was a sailor that often came to the building I worked in and lived one floor above me. We hung out for the first time just a few days after beginning to talk and saw each other everyday we could until my internship ended two months later. I finished up my internship and packed my car and drove back to Indiana. Growing up one of my favorite parts of Christmas was the stocking stuffers. My mom is the best at filling stockings. Now that my wonderful husband fills my stocking, I’ve learned that sometimes suggestions are very welcomed. He does a great job, but is usually he ends up asking for suggestions…on December 23! I was pondering this and how I could help him out a little sooner than later. This year I decided to compile a list of stocking stuffers that women would like. 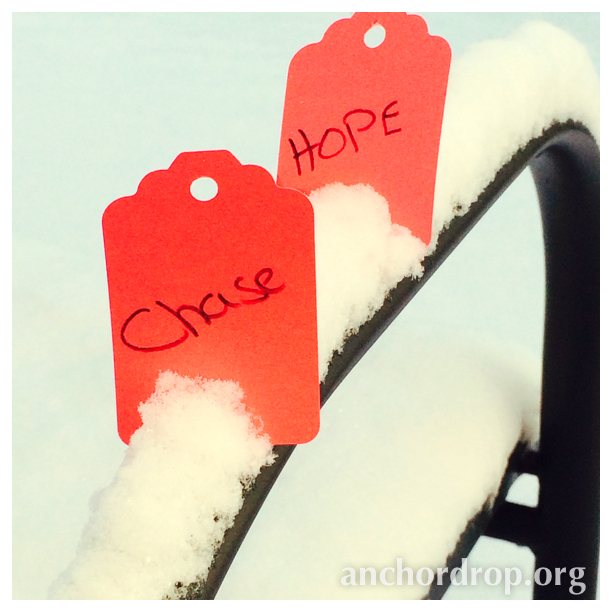 My fellow Anchor Drop writers gave me awesome ideas, so you should be able to find ideas for any woman in your life. Many of these would be great gifts even without the stocking. And don’t forget to keep reading to the end to find out about special giveaway!